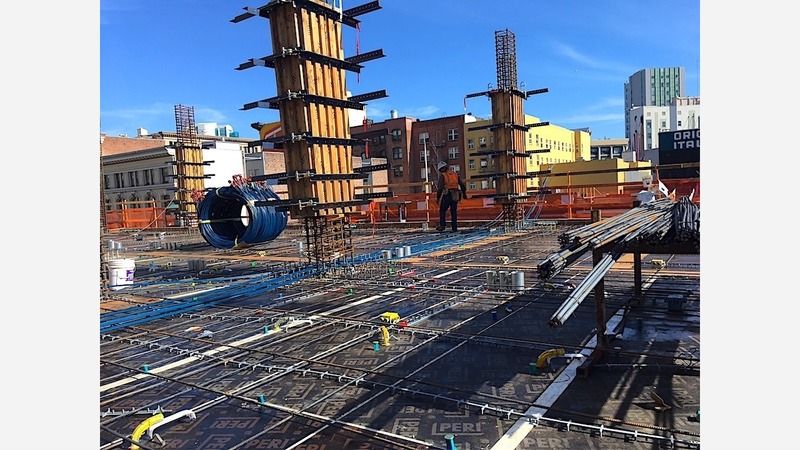 April 2018 not only marks the Tenderloin Neighborhood Development Corporation's 37th year of service, but launches a one-year countdown to the completion of a new 100 percent affordable development at 222 Taylor St. 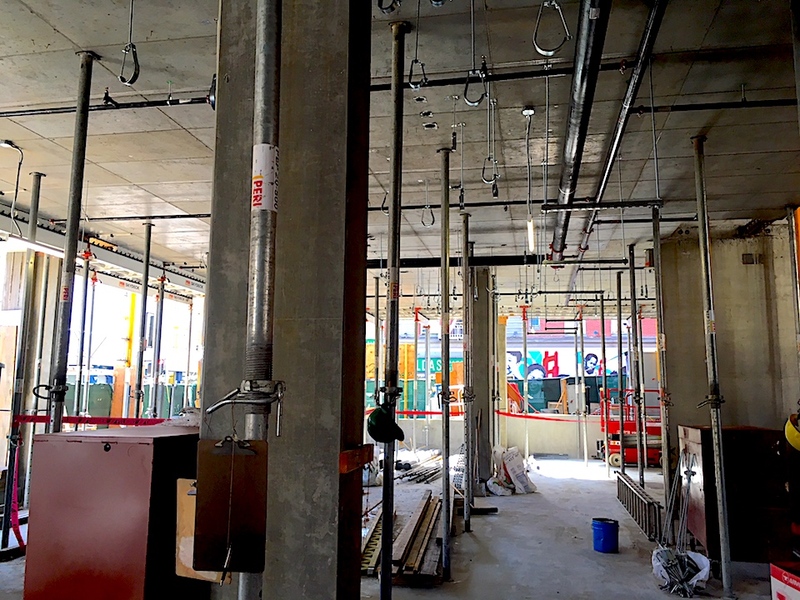 The project at the corner of Eddy and Taylor streets, expected to be completed in April 2019, is adjacent to TNDC's offices, so employees can track its progress daily. 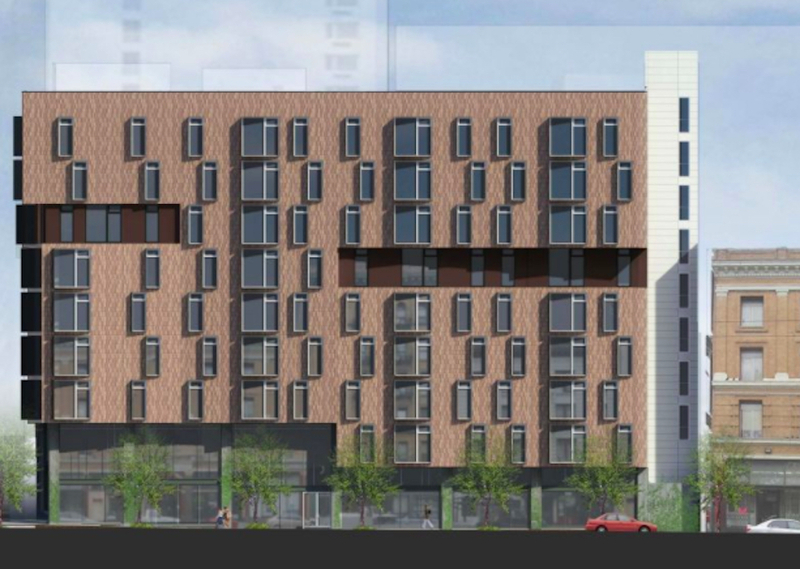 As designed by David Baker Architects, 222 Taylor will feature 113 one-, two-, and three-bedroom residential units able to accommodate up to 400 tenants in the eight-story, mixed-use building. Each unit will have its own kitchen, but the building will feature two full-size kitchens near the community meeting and open spaces on the ground floor. The building will also feature on-site services for residents such as financial and health support. Entrance to the courtyard will be through a large sliding glass door on the ground floor. The path to the courtyard entrance will be mapped from the main residential entrance with a line of boulders that begins indoors and extends into the shared outdoor space. A crane takes up much of the courtyard space today. This facility won't have any balconies, but most units will have windows facing the courtyard. Plans for 222 Taylor also include two ground-floor retail spaces, one of which includes a commercial kitchen. The retail space is expected to house a mid-size grocery and potentially another vendor. 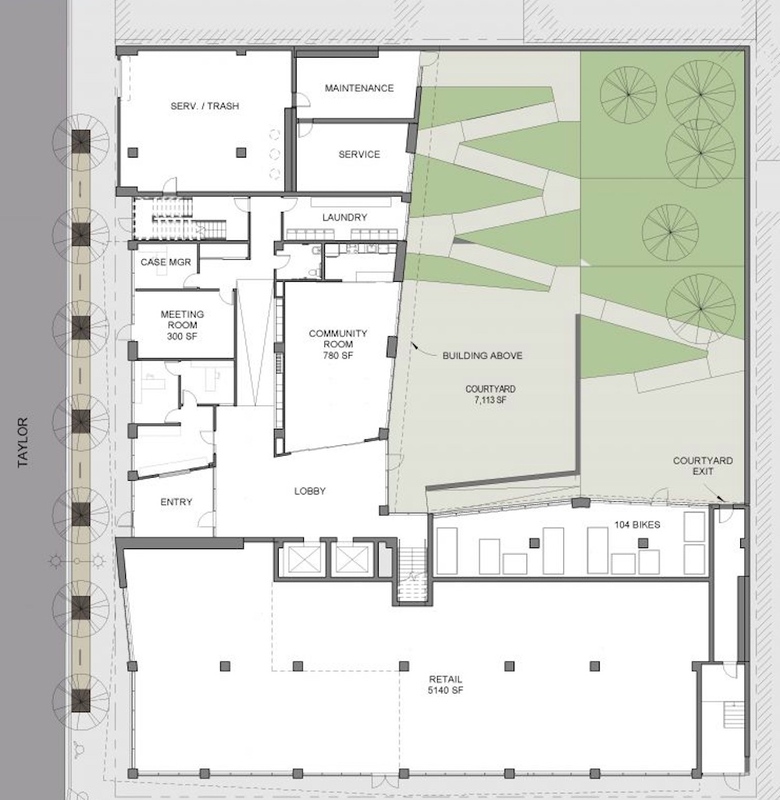 The corner ground-floor retail space include will a commercial kitchen. 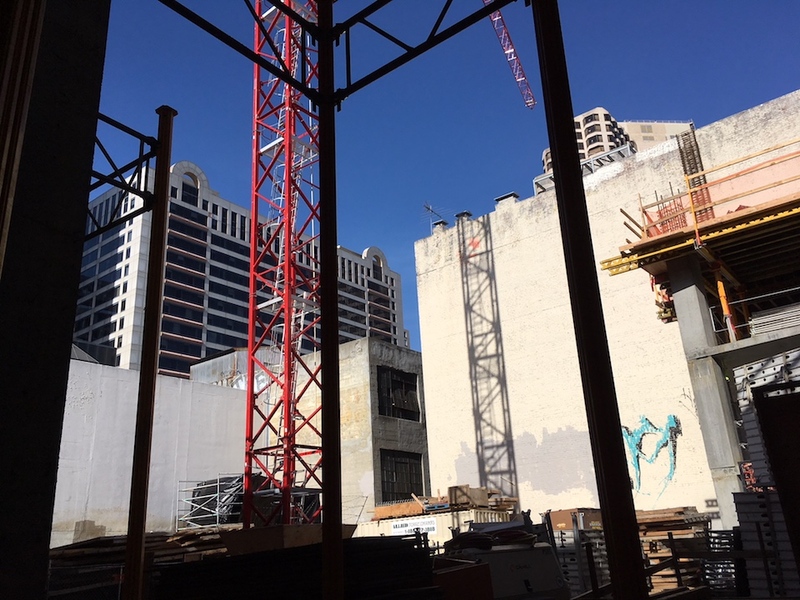 TNDC last week released a time-lapse video of the building's progress since day one, showing the site's transition from a surface parking lot into its current four-story skeleton. The building will join TNDC's portfolio of 39 existing properties across the city, along with another 11 currently in development. Spanning nine neighborhoods, the group's existing and planned housing stock could accommodate more than 4,100 people, most of which qualify for low-income housing or are chronically homeless, according to TNDC. TNDC is hosting its 37th birthday celebration on Thursday, April 19th at the Westin St. Francis hotel. Anyone interested in attending should contact Jules Michaelson at jmichaelson@tndc.org or 415-358-3957.